Eyes are the windows to one’s soul and so no matter what happens, it reflects on one’s eyes. 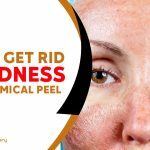 Quite naturally, it also makes you realize the first signs of aging. Thus, if you want to hide your actual age or want to correct your aged appearance, then going for eyelid surgery is the best option for you. Like any other surgeries it also comes with a few risks but then again, if you have any problem with your vision, then correcting it via surgery is always advisable. 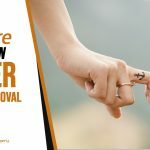 India like all other places is also pacing up in the field of plastic surgery and giving its resident the benefits of utilizing these surgeries and uplifting their moral. -Upper eyelid: If you have a heavy eyelid with loads of fat accumulation, then you can go for this surgery where a small incision is made and the fats are removed. Then the lids are stitched again to create crease. 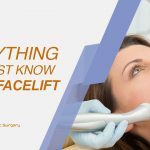 -Lower eyelid: If you are suffering from sagging eyelids, you can opt for this where the incision is made on the inside of the lid and the excess fat is taken out. 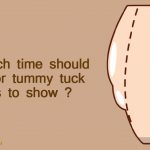 In this case, self-absorbent stitches are used which don’t even require to take out. -Double eyelid: it is a special type, which is also called Asian surgery, which is performed on people of Asian origin to give them a westernized appearance. People who are in live a healthy lifestyle, and do not have any smoking or drinking habits, can go for this surgery if they have vision problem. -Puffy or heavy eyelids make a person appear aged and weary which creates a negative impression. So, if you want to have a good impact on people, then go under the knife and get a rejuvenated feel. -Sometimes puffy leads can block vision; hence, the surgery will alter that problem. 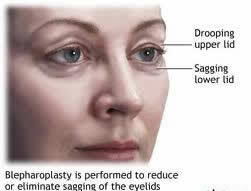 -Sagging eyelids are a turnoff and add up to the age, so get rid of those and bring out the younger you. 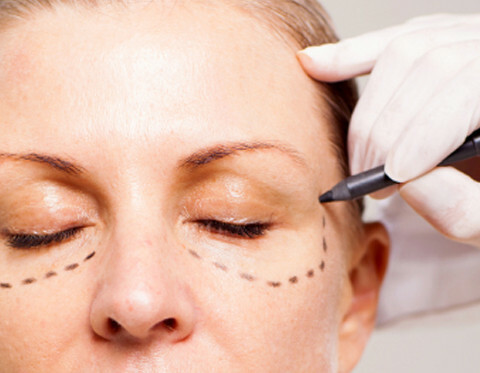 Blepharoplasty is an affordable operation and can be availed by people without extra hassle. One can also use insurance for such operations but only upper eyelid falls under the category. However, you can run a search and settle for an expert surgeon who suits your budget as well as your needs. Like any operation, this one also urges the patient to be extra careful and follow the instructions of the surgeon. Generally, a person can return to his/her normal life within 7 days of operation. However, people should abstain from hard work and strain the eyes just after the operation. They should wear sunglasses to prevent exposure of sunlight to the eyes. They must approach the surgeon instantly if they feel any unnatural thing or bleeding. Be careful to avoid infections as well. You will get detailed information and knowledge about cost of operation in India. To conclude, it is your eye and hence you should decide its fate. However, if you are thinking about this surgery, then remember the points and contact an experienced surgeon nearby!